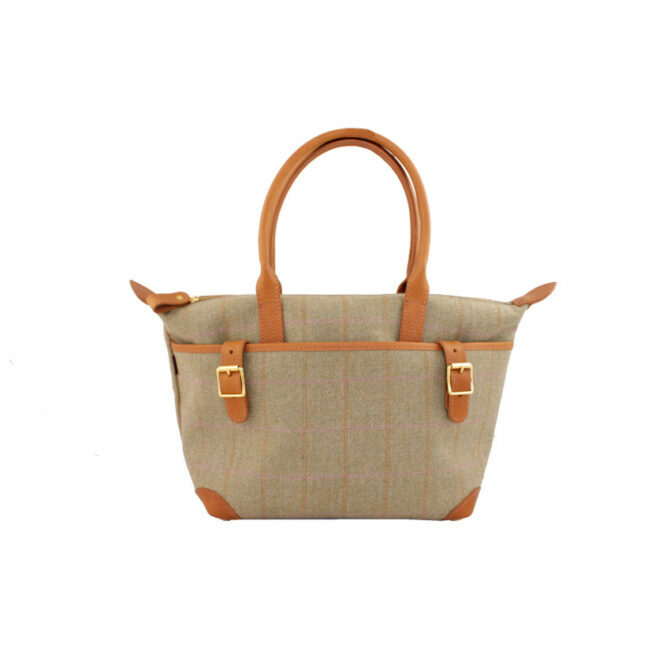 The Eden is a handsome tweed and leather tote, with plenty of room for your daily essentials and more. 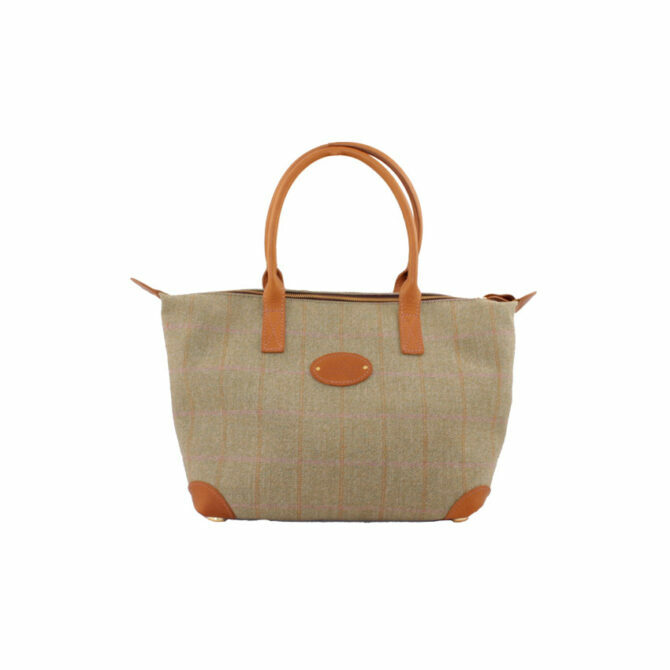 The main bag material is weatherproof Border Tweed, available in two colourways: Green (pink and orange checks) with tan leather; and Black (blue checks) with navy leather. The bag features leather base corner reinforcements and metal feet, protecting areas otherwise vulnerable to wear. The Eden can be carried on the shoulder or by hand. Made in Cumbria, England. Dimensions excluding handles L17″(base) 12″(top) x H11″ x D6″/L43 cm (base) 32cm (top) x H28cm x D17cm. Zipped main compartment with brass zip and leather puller. Interior zip pocket with leather trim. Leather handles for carrying on the shoulder or by hand. Brass or nickel plated brass (Black tweed) hardware. Dimensions excluding handles L17"(base) 12"(top) x H11" x D6"/L43 cm (base) 32cm (top) x H28cm x D17cm.